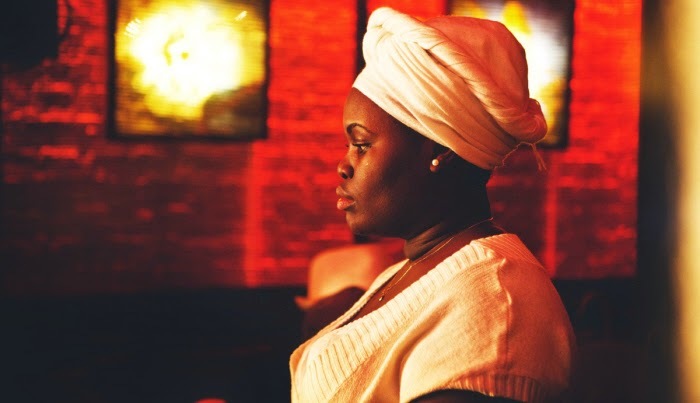 As US and Cuban politicians are in the current throws of attempting to calm the decades-long riffs between their prospective nations, Daymé Arocena is already ahead of the reconcile as her sound is grounded in a homogeneous partnership between the country she calls home, and the country she's attempting to court with her vibrant, traditional-rich sound. Hailing from Havana, the 22-year-old singer, songwriter, and choral director already possess the resume of a seasoned performer. She began singing at the age of 14, working with saxophonists Wynton Marsalis and Jane Bunnet and joining groups such as Maqueque and Los Primos. After wowing at a showcase, producer and indie jazz tastemaker Gilles Peterson took her under his wing, and had her appear on his Havana Cultura mix project. In just a short time thereafter, her debut EP was released through his Brownswood recording imprint. While it's difficult for some artists to adhere to their roots in the face of trying to appeal to a mass market, Arocena doesn't seem swayed by that lure just yet as she has found a way to sound fresh out of the box all while preserving the traditional sounds and stories of her homeland. With each song, she ribbons in her native tongue of Yoruba and Spanish, keeping close ties to the celebrated chanting that is apart of her Santeria religious upbringing without so much as a flicker of doubt to if it will work or not (trust me, it works). Though Arocena falls in the footsteps of Afro-Cuban jazz-soul divas like La Lupe and Elena Burke, as she has adopted their jazzy-soul diction of filin, her influences are even more so geared towards the bosom of US jazz and soul. Growing up she didn't quite understand the flows of soulful justice that poured through the works of Erykah Badu and Gil Scott-Heron, but she remained riveted at their boldness, and she attempts to dig into the cavity of their compositions, interpreting the words and sounds she heard by her own vocation. Her latest single, "Don't Unplug My Body", follows in the intimacy of Badu's more amorous works, and the frankness of its repetitive refrain textured with the tumbles of pianos, upright bass assertions, and traditional Cuban percussion instrumentally seduces. In-between the lyrical flows, the jazz teachings of Billie Holiday and Ella Fitzgerald poke through her repertoire as well. Fitzerald's influence more so, as the top notes of Arocena's vox potpourri --- her scatting, her flitting back and forth between octaves, emotions, and languages --- are aligned rightly with the legendary songstress. Her re-telling of the Julie London classic, "Cry Me A River", culled from her solo EP, The Havana Cultura Sessions further provides evidence of her classically trained ear. From first note to the flourish of fluttering bongos and chants, Arocena transcends the song from a supper club lament to a track that brims with an odd exuberance, and when she lets a rich chuckle escape mid-way in, she isn't wholly defeated, but more so laughing to keep from crying further downstream. Though politics are fickle, Daymé Arocena isn't, especially when it comes to crossing and preserving cultures and sounds that are near and dear to her. With just a smidgen of material Arocena is already poised to be a new aural narrator for a more worldly attuned generation, and this summer she will get to tell more of her story when her officially full-length debut, Nueva Era arrives June 8th.